"Earth's Crammed With Heaven": It really is all lists these days, isn't it? 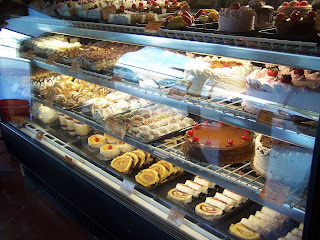 Argentina Bakery. Epanadas. Hello, darlings. I've missed you so. New mixed CD's from new friends. Skype-ing with the Florida fam. A messy scrapbook table taking up the whole of my dining room. Has not been touched in 3 days, but it promises loads of fun. Football games and Catfish Sams. Bo's contentment with 5th grade so far. Emma's description of her determination in dance. "Sometimes, when something is hard, I just look down a little bit with my eyes, and say to myself 'I AM gonna do this. It's hard, but I'm gonna do it.'" Her other comment tonight after dance: "I'm starvaciously hungry!" The fact that Minnie killed a bug today by stepping on it. She lunged and barked and jumped, and then smashed her paw down on that bad boy. I think she might prefer to use the magazine method next time. The luxury of getting in my comfy bed each and every night. It's the best reward for a long day.